A good massage can soothe your baby and help baby to sleep better. Massage also has so many added benefits for baby, including improving weight gain, aiding digestion, improving blood circulation, and easing teething pain etc. There are a lot of massage oils for babies available in the market. Choosing the right oil for your baby that doesn’t contain chemicals, mineral oil etc can be challenging. In this post I am featuring one of the best massage oil that I totally love and use for my new born twins bathing as well. 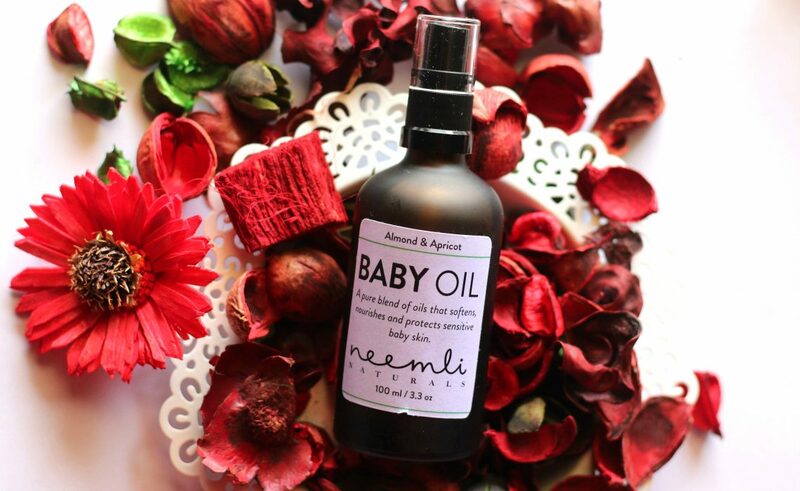 Neemli Naturals Sweet Almond and Apricot Baby Oil is a pure blend of organic certified oils and vitamin-rich ingredients that help soften, nourish and protect sensitive baby skin. What I really love about this oil is its aroma and how gentle it is on baby’s skin. Having packed with organic carrier and essential oils that replenish baby skin with all it’s Vitamin A, B and E needs – This massage oil nourish baby’s skin. Sweet almond has a high moisturizing capacity. Apricot Kernel Oil softens skin. Natural Vitamin E nourishes baby skin, and Lavender Essential Oil’s antimicrobial properties keep away unwanted bacteria. As you can see, my bottle label is pretty much gone because of everyday use. 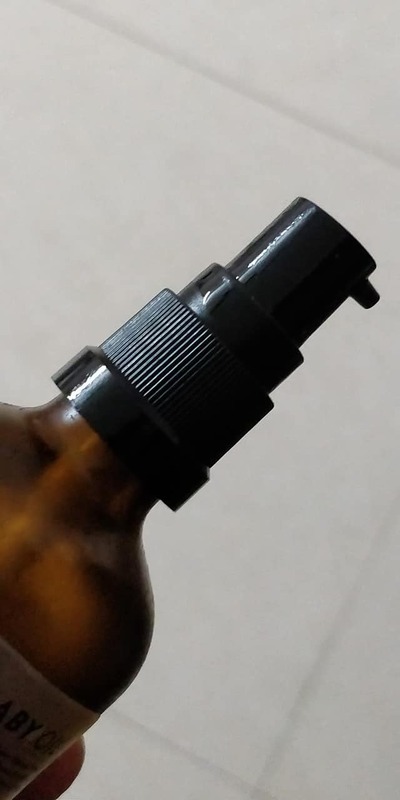 For my newborn twins – We use this as a daily massage oil before shower. After pouring some amount of oil onto a steel small kadai ; To warm the oil, I place the steel kauai on top of running water for few minutes and this way oil gets slightly warmer. 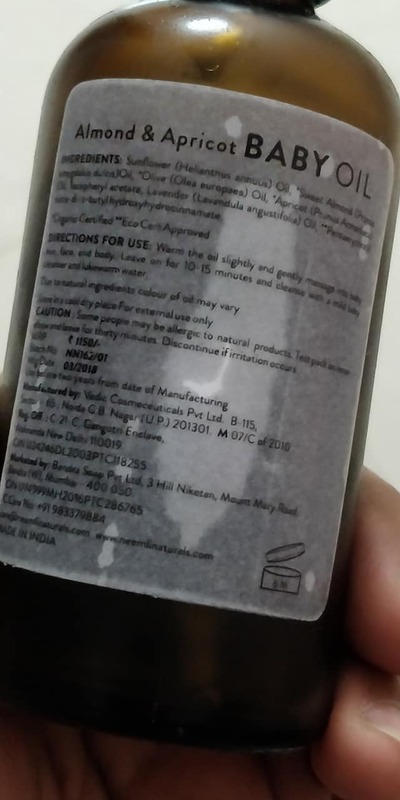 My Japa maid use this oil to massage my little ones and they really love the oil massage that they remain less cranky. After leaving the oil about 10 minutes on their body, she washes off using Luke warm water a gentle body cleanser. For my kids – We use Sebamed/Moms Co / Babo Botanicals wash depending on the climate. New born babies often get the neonatal acne which is thought to be caused by exposure in the womb to maternal hormones.They can last for weeks or even months on a baby’s skin. My babies had similar rashes on their face and body and this oil helped soothe the area and keep the area hydrated. With regular use, the new born acne faded completely. Organic Sweet Almond Oil –Almond contains Vitamin A, B, and E and is suited for babies for its high moisturizing capacity and is perfect for sensitive baby skin. Organic Apricot Kernel Oil – Natural Apricot Seed Oil consists of Vitamin A and E which nourish and softens skin. Vitamin A helps hydrate and fight against dryness which in turn minimises some forms of irritation. Lavender Essential Oil –Lavender has antioxidant and antimicrobial properties and it helps smooth even skin tone. Vitamin E –Tocopheryl Acetate is known as Natural Vitamin E, which is a skin nourishing agent, sourced from Vegetable oils and leafy greens. This skincare active is a potent antioxidant anti-ageing agent and anti-inflammatory. It strengthens the skin’s barrier function, by protecting the skin barrier’s lipid balance and minimises transepidermal water loss. Note – While oil massage is good for babies, It’s also important that – Before you apply any oil on your baby’s skin, just dab a little bit of oil on their hand and see if it suit their skin. If your baby’s skin develops any rash, then avoid using that oil.